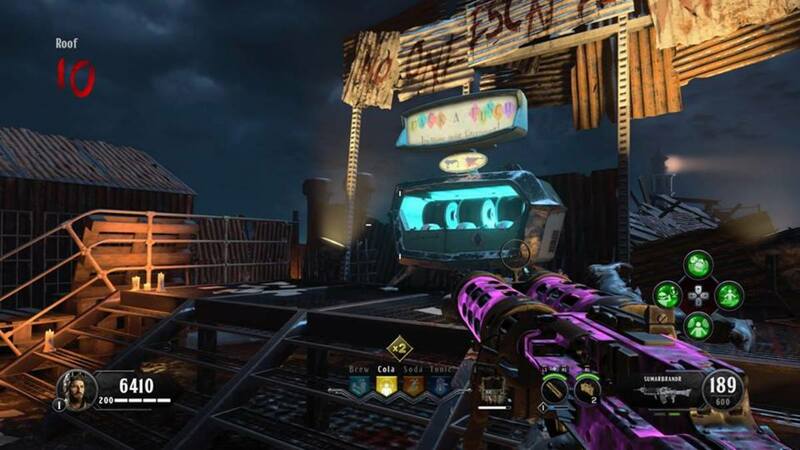 The Black Ops Zombie levels have optional missions called "Easter eggs." 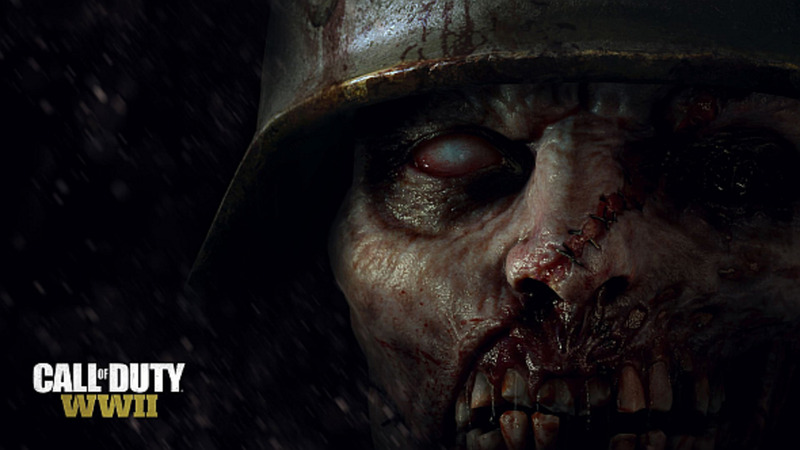 The new level called the "Final Reich" in Call of Duty WW2 Nazi Zombies has two Easter eggs. 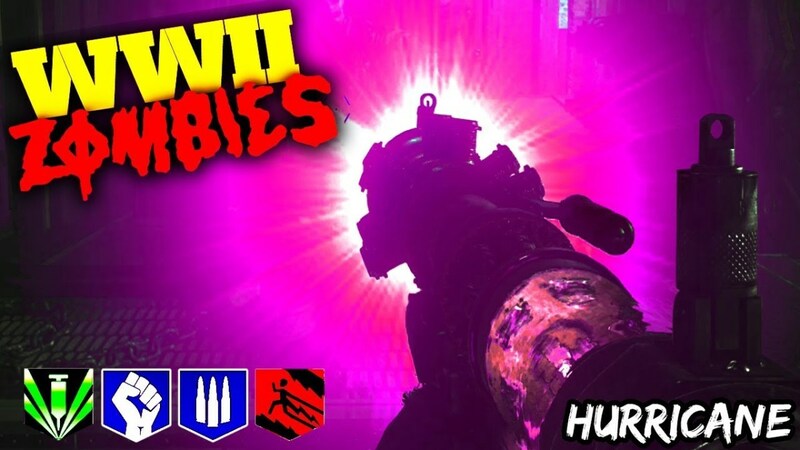 This article will discuss how to complete the easy Easter egg mission and defeat the boss at the end. It's easier to complete the objectives if you start them in the earlier waves (also called rounds). 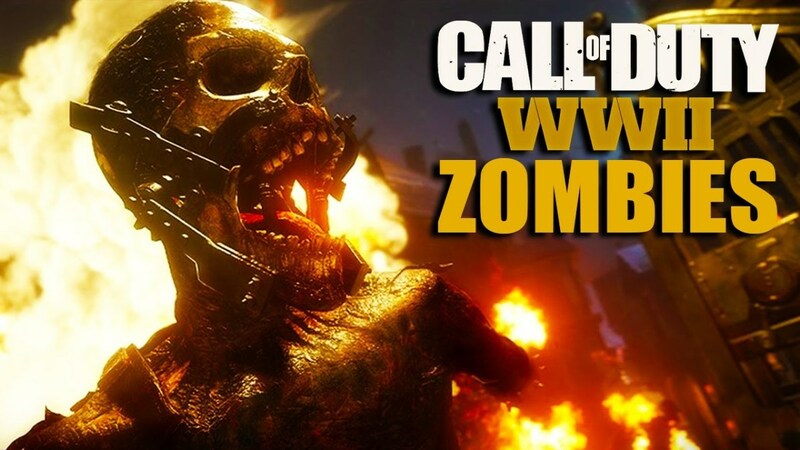 Don't wait too long to complete the objectives because there are more zombies in the later rounds. Additionally the boss zombies, like the flamethrowers, appear in greater numbers later on. Focus on saving points and opening doors in the early rounds. Don't buy too many weapons or perks in the beginning. You can buy the Type 100 gun in the courtyard for less than 1000 jolt points. It's not the most powerful weapon, but it's fully automatic and you'll have access to it at the start. Once you're at a high enough rank, you can start a game with the sawed off shotgun. It kills zombies better than the starter pistol. Turn on the power to the bunker. Open up Salt Mines area. Charge the transfer device and acquire the Tesla Gun. Change fuse boxes on the Final Reich to proper color. (The right hand of God Objective). Defend the lightning rods in the tower area. Shoot the Zeppelin orange lights to drop batteries (The left hand of God objective). Scan the 4 paintings with the Brenner head (flamethrower zombie) to reveal which numbers match the bird symbols. Shoot the sword with the Tesla Gun to initiate the boss fight, then defeat the boss. 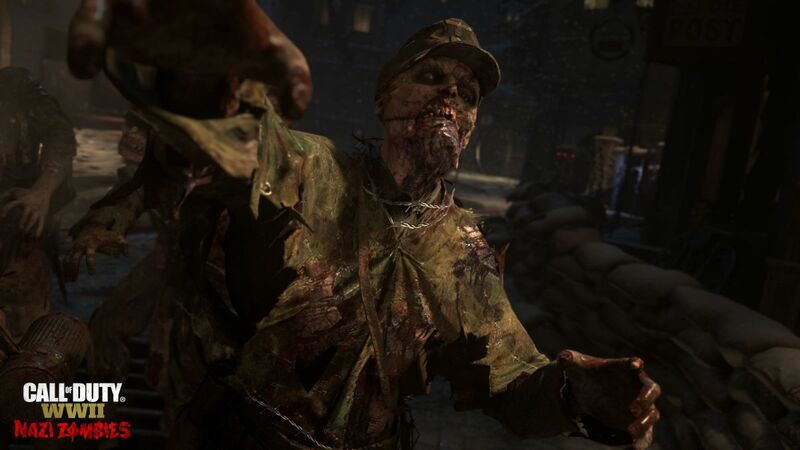 Kill a few zombies with the shovel, pistol, or type 100. Open the gate with jolt points and locate the generator in the center of the courtyard. Turn the 3 valves to power up the generator, then activate the trap to gain access to the sewers where you'll find another generator that must be turned on to open up the bunker. Go inside the bunker and turn on the crank in the middle of the commander center. You cannot open up the salt mines door until you power the area. Kill a few zombies until you have enough points to open up both doors in the commander center. Each door costs 1500 points. Locate the switches in each of the side areas (the morgue and laboratory) and turn them on to power up the salt mines door. You'll still need points to open it. Go down into the salt mines area until you're in the room with the large ancient statue and three machines. It's an important room on the Final Reich, as you'll need to return here multiple times to complete the Easter egg and initiate the boss fight later on. Activate the hilt on the machine to turn on the soul box. You'll see a red circle on the floor. You must kill the zombies within the red circle to the fill the soul box. Once you see an orange light, head back up to the command center and hit the button at the top of the stairs. 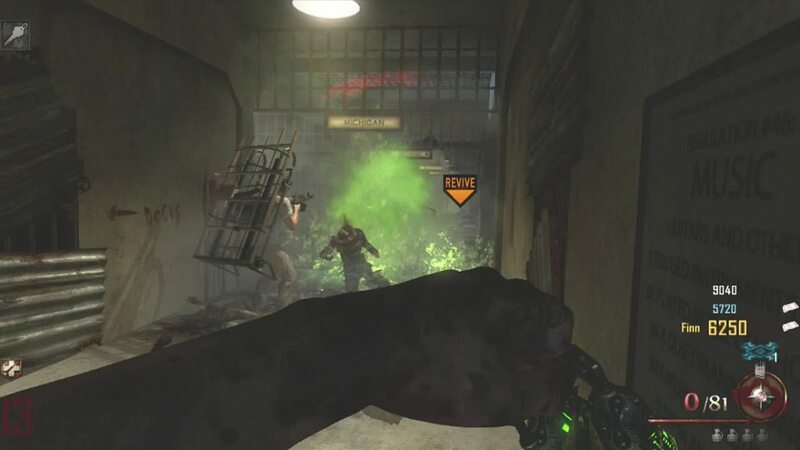 You'll need to kill zombies underneath the transfer device that moves to the morgue and the laboratory. Make sure to get both Tesla Parts and return to assemble the Tesla Gun in the command center. A Brenner flamethrower zombie will try to kill you. Kill it and remember where the head drops. Examine the "Right Hand of God" device in the salt mines where the ancient statue is. Your new objective is initiated. Press square to open up the power grid. It's on the second floor of the command center. You'll see 4 colors. Remember the colors and turn the proper colors on all the fuse boxes in Final Reich. You have a time limit. The first fuse box is right beside the power grid. The second and third are in the sewers. And the last one is beside the gate before entering the tower area. I strongly advise using the Jack in the Box item before starting this part. The Jack in the Box can be found in the mystery box. It distracts the zombies after you throw it on the ground. It also explodes after. Pull the switch in the tower area to initiate the lightning rod. Defend it from zombies. Don't let them destroy the lightning rod! Afterwards, you'll need to activate the 2 switches nearby and defend both lighting rods at the same time. Use your special abilities like camouflage and the Jack in the Box to survive and defend. After you defend the lightning rods successfully, head back down into the salt mines and activate the right hand of god machine. A zeppelin will appear in the sky. You must shoot the orange lights to drop a battery. A machine gun or weapon that fires fast is best, as you'll do more damage to the lights. Once you damage a zeppelin light enough, a battery will drop that needs to be filled with zombie souls. Find the battery and destroy zombies by it to charge it up. Then take the battery down into the salt mines and place it in the Left Hand of God machine. You'll need to repeat this step two more times because the Left Hand of God requires 3 batteries. Note that the zeppelin can damage you while you're shooting it. Avoid shooting it when you're being attack by a bunch of zombies. The Jack in the Box is useful, as you can throw it to buy yourself time to shoot the orange zeppelin lights. Also, make use of your camouflage special ability if you have it equipped. 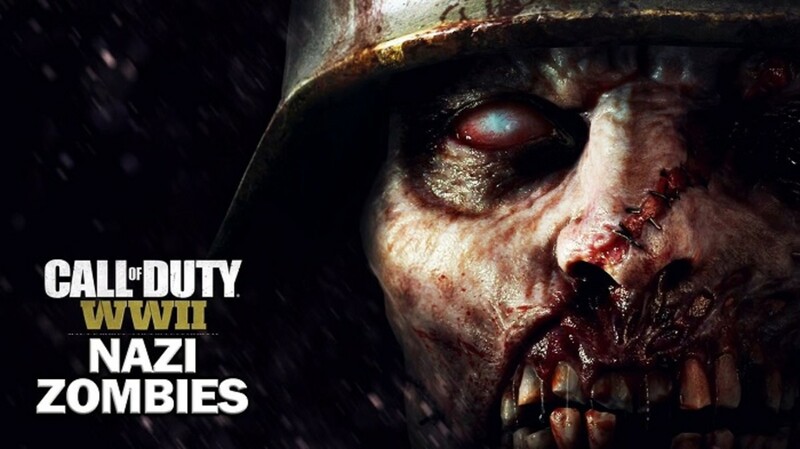 There are 4 paintings on the Call of Duty WW2 zombie map Final Reich. You need to use the Brenner head to scan them to reveal a bird symbol and a number. 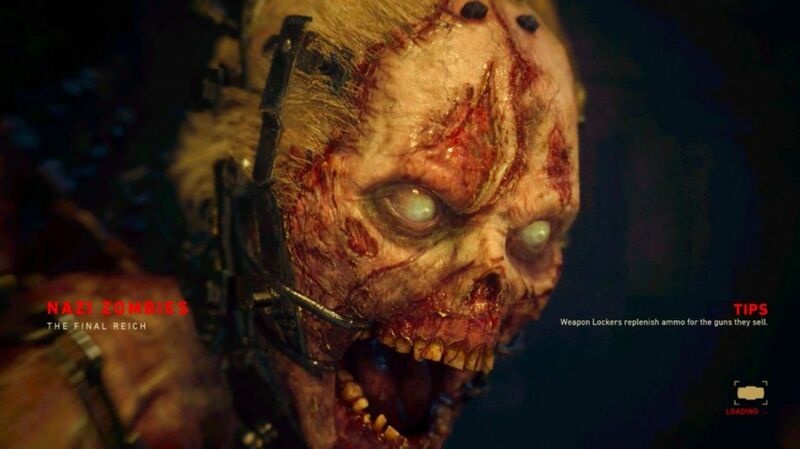 The Brenner head should be in the location of where you killed the first flamethrower zombie. There's a painting in the morgue, sewers, pub, and courtyard area before entering the laboratory. Take note of what number is next to the flying bird on the paintings. You must return to the salt mine tunnels where the Voice of God machine is and enter the correct numbers that match up with the bird symbols. For example, if the bird is flying left on one of the paintings and there's a roman numeral 4, then set number 4 under the symbol of the bird that is flying to the left on the Voice of God machine. After completing the Voice of God step, all you need to do now is shoot the Tesla gun at the bubble force field that contains the sword hilt. The bubble will burst, enabling you to take the sword. You'll be teleported to the boss fight. Many of the areas will be blocked off when fighting the boss. You have to fight it outside. In order to kill the boss, you must place 3 charged batteries into it after its stunned. Shoot the zeppelin lights to drop a battery, then charge the battery with souls by defeating zombies within the red circle. Use the Jack in the Boxes and camouflage ability to survive and make things easier. Stun the boss by shooting it with light machine guns, the Tesla Gun, or the Type 100. After it's stunned, quickly place a charged batter on it to damage it. The boss will only be stunned for a very short time. Make haste! After placing 3 charged batteries into the boss, it will fall. 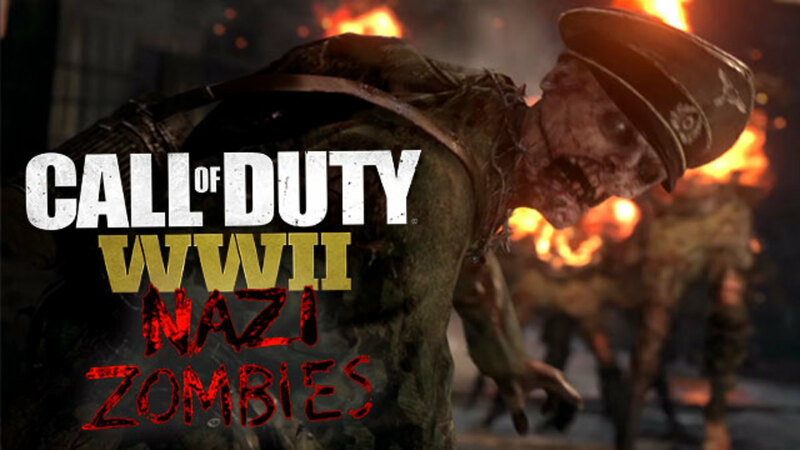 Congrats, you have completed the casual Easter egg in Call of Duty WW2 Nazi Zombies: The Final Reich.